The British Gardener - The Tropical years: My prayers have been answered, kind of! Ok, not every prayer gets answered, or at leased the one where P.Allen Smith doesn't have perfect hair anymore, and actual gets dirty when gardening! The miracle I'm writing about, is that some clever genius has created a watering watchdog that will tweet you if a warning when the plant it's monitoring gets dry. Admittedly, its still a rare concept, and semi-inconvenient that you have to assemble it, but its a starting point. 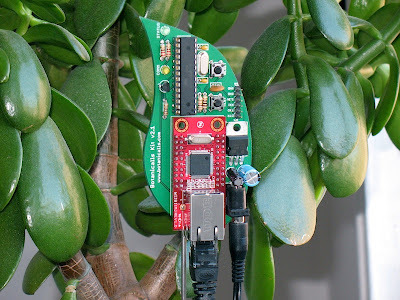 Botanicalls have developed a 30 piece micro controller that with some soldering skills, is assembled onto a leaf shaped board and mounted on sensors. Through an Ethernet cable, the unit will post updates to twitter, letting you know when your plant is thirsty. It will even post a thank you once it is satisfied. Unfortunately, the unit isn't weather proofed and has to be connected to a power source and a network connection to be operational. However, the first cell phone came with a suitcase that needed to be carried in a car. Technology has grown in leaps and bounds, so to think that this gadget could revolutionize the way we garden is exciting. Wake up, your gardens calling you! Lets face it, not everyone is great at maintaining plants, even I have moments when I let one slip past my normally astute observations. Having a tool that monitors the root zone of a plant, coupled with the ability to warn you before things go south is wonderful. 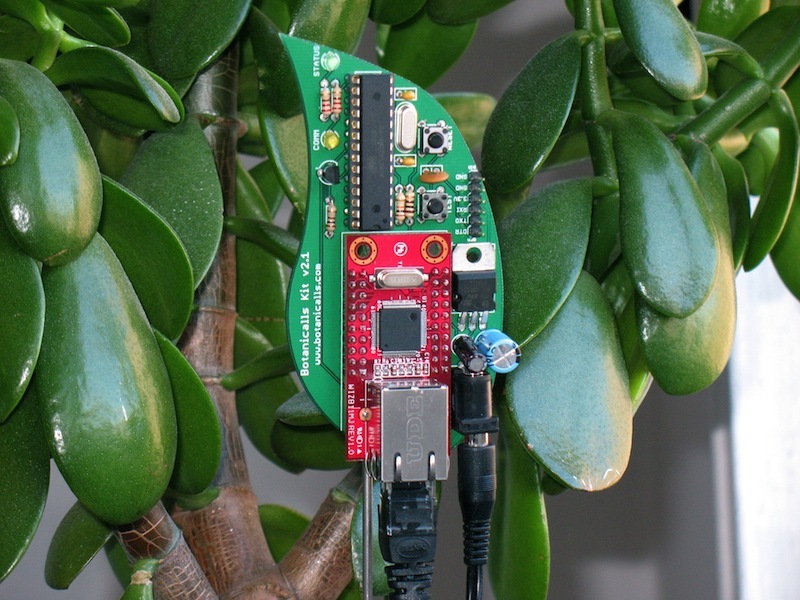 Maybe one day, all plants will come with diagnostic sensors that monitor everything that's happening to your plant. 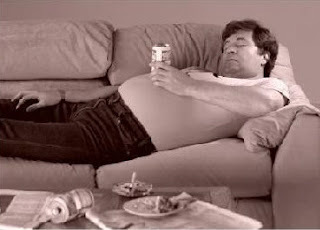 Still, if you don't get off your lazy backside and water it then there's no point. At least customers wouldn't be able to bring the dead plant back to the nursery it came from and plead ignorance! Anyone interested can buy them through sparkfun.com for $99.95, a little more expensive than sticking your figure in the soil to check, but some people like their gadgets! He's a fellow British guy.